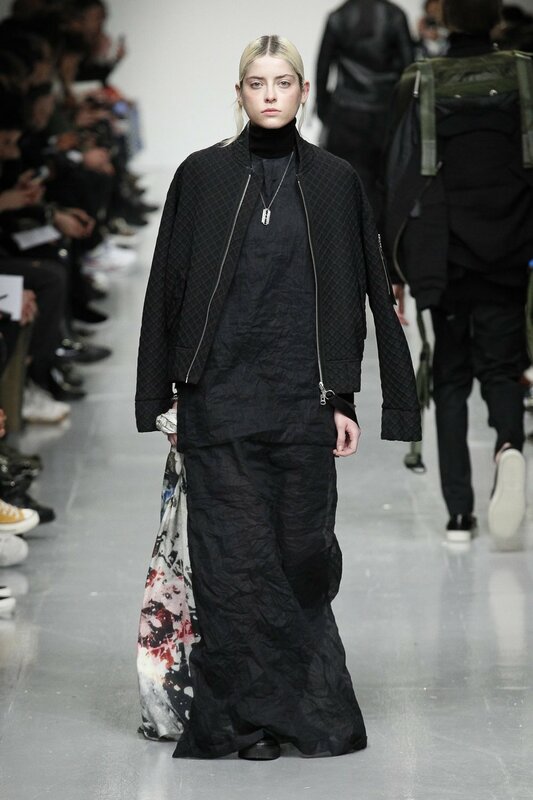 Matthew Miller appears to be yet another London designer calling for revolution. Models were sent down the runway with red face paint (war paint perhaps? 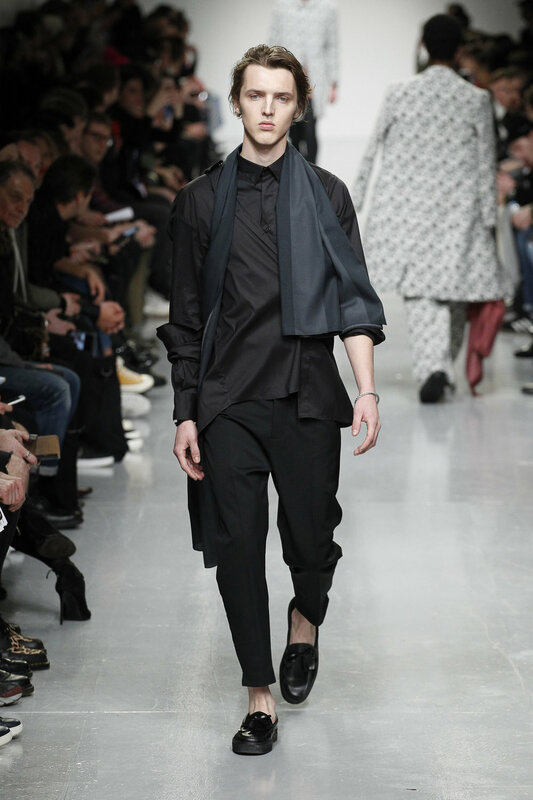 ), nylon harnesses, and predominately all-black looks. 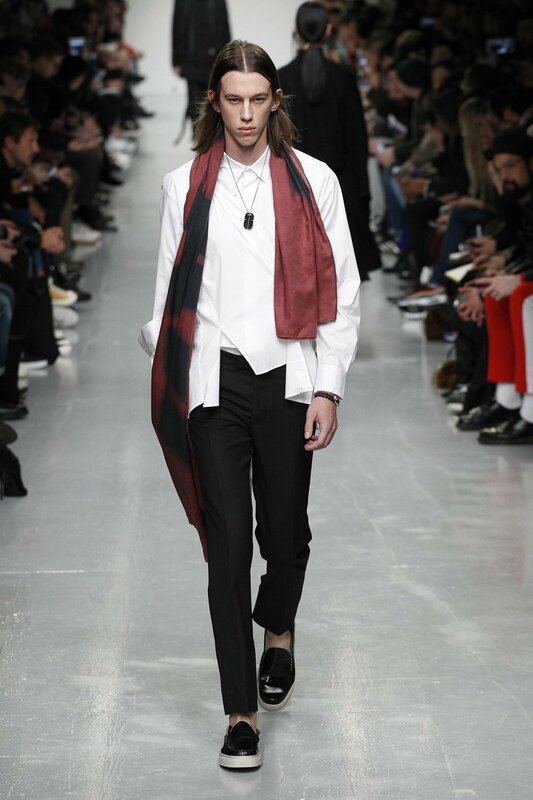 The slim, black overcoats were paired with pops of bright red as well, either in bracelets, thin scarves, or turtlenecks, and worked to evoke Dior Homme’s AW16 collection. 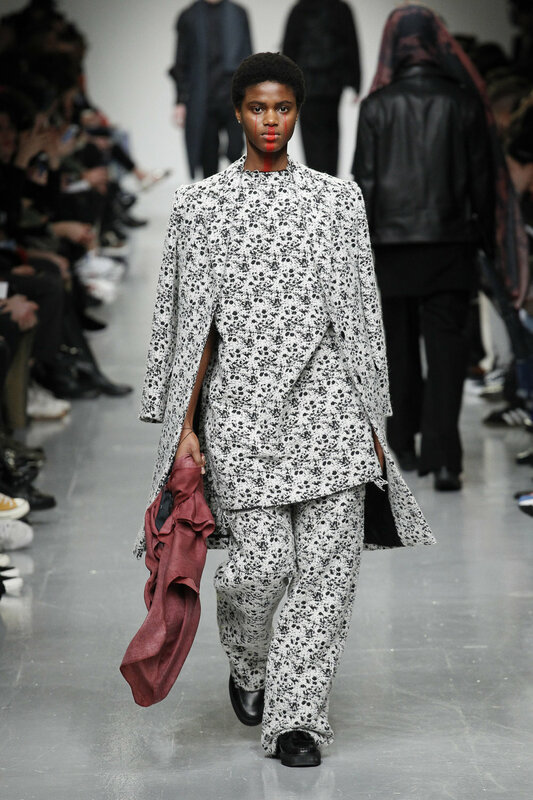 The collection’s stand out pieces were two white jackets that were covered in an abstract black pattern; the men’s being left unbuttoned at the bottom to further emphasize the red turtleneck it was paired with, a trend that’s already proven popular this season. 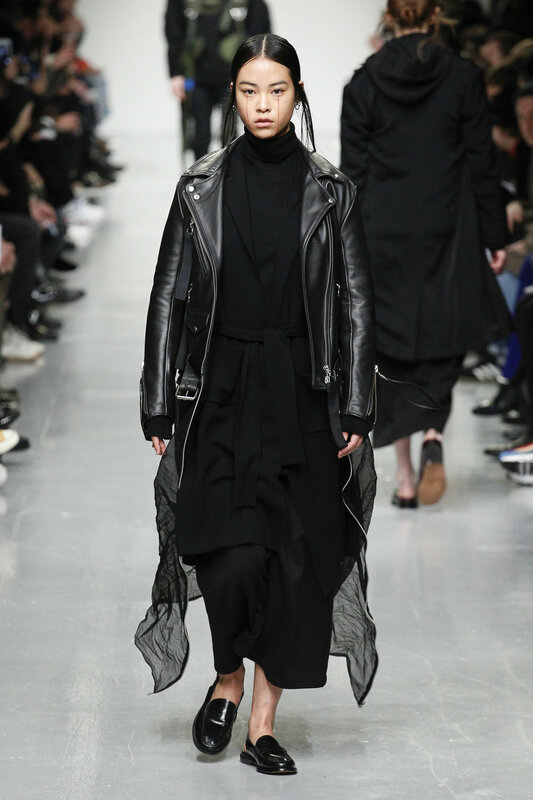 Aside from these coats was one oversized, black shearling coat; which will certainly find its way into the hands of many following its desirability among those in colder climates this season. 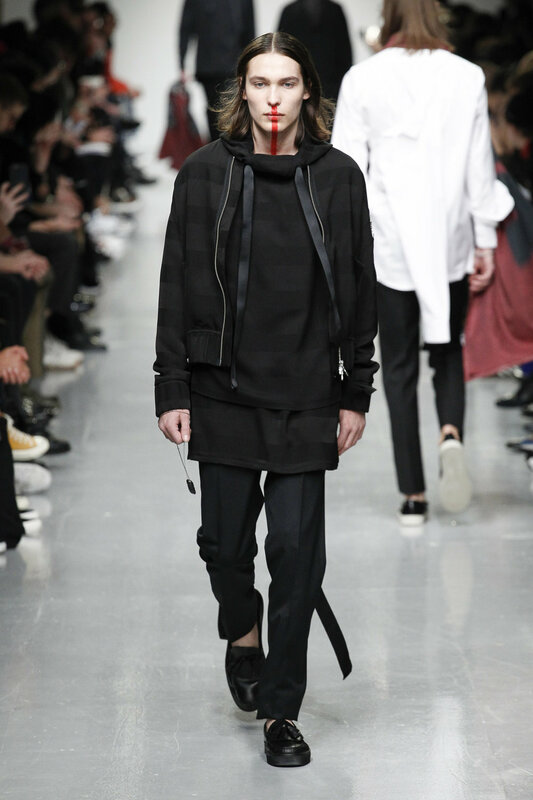 A decidedly safe and familiar collection, perhaps Miller has more up his sleeve to really fuel the creative revolution that many of his peers have used to truly stand out this season.